Mississippi state laws require you to purchase car insurance. However, car insurance is not needed when registering your vehicle or applying for your driver’s license. Read this article to learn more about Mississippi car insurance laws, requirements, programs and other auto insurance information. Make a cash or security deposit same as the minimum coverage amounts. Mississippi car insurance providers also offer several optional coverage types which you may purchase to help protect you further. NOTE: Leasing and financing companies usually require you to purchase comprehensive or collision car insurance if you are financing your vehicle. This state has stringent fines and penalties if you are caught driving your car without the required minimum car insurance coverage. A driver’s license suspension of 1 year. If you buy Mississippi car insurance after you have been charged or show proof of insurance your driver’s license will not be suspended and your fine will be reduced. If you have car insurance but you fail to show proof of it through an insurance card, you will face a fine or citation. If you are charged and it is found that you were indeed insured, the court can waive the required fine. Prevent revocation or suspension of your driver’s license. Your car must currently be registered in Mississippi. 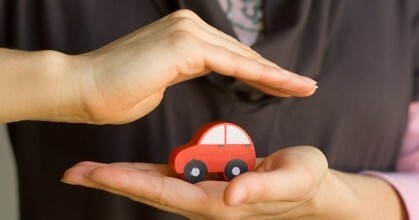 Insurance policy through the MSAIP can be purchased through any car insurance company in Mississippi. Mississippi Insurance Department Consumer Services Division provides assistance with matters related to car insurance. NOTE: Include your phone number and mailing address with your question or request. The office of the Attorney General’s Insurance Integrity Enforcement Bureau, at (888) 528-5780. Note that DUIs and DWIs points on your driver’s license can raise your insurance rates. Always maintain a clean driving history. Having a bad driving history can lead to higher car insurance premiums. Check your MS driving history to see whether you qualify for cheaper car insurance. Discounts can be a good way of getting cheap insurance rates, but the best way is through keeping a clean driving history.